Printed under the title "Captain Reed's [sic] or the 3d regt. 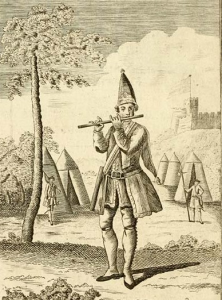 of Guards march" in Compleat Tutor for the Fife, London, 1765. Reid had been promoted major in 1759. He always allocated this march for his own use in the 42nd foot (Black Watch). It is interesting that the 3rd (Scots) Guards had appropriated it for their own use at this early date.